Origin Native to Eastern U.S. and Florida. Hydrangea is a shrub which belongs to the family Hydrangeaceae that grows upto 5-6 feet high. 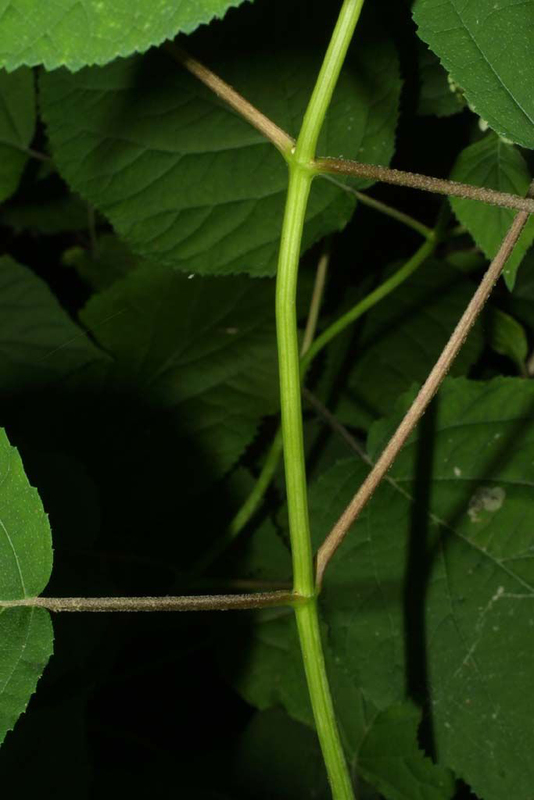 The stems bear thin leaves of heart or oval shaped, sharply toothed and 6 inches long. The plant blooms flower from early to mid-summer. Flowers are creamy white arranged in loose and broad clusters. It has roughly branched, hard and tough roots. Its habitats are rocky stream banks, shaded ravines, low rocky ledges, bottoms of cliffs and bluffs. The plant is native to Southern New York, Indiana, Ohio, Missouri, Illinois, Oklahoma, Florida and Louisiana. It is also introduced to Massachusetts, Nova Scotia, New Brunswick and Ontario. 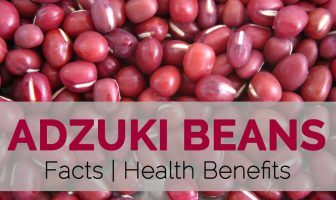 This plant is rich in minerals such as calcium, magnesium, potassium, iron, sulfur and phosphorus. The root of Hydrangea has high level of flavonoids, quercetin, kaempferl, volatile oil and saponin that prevents cell damage. 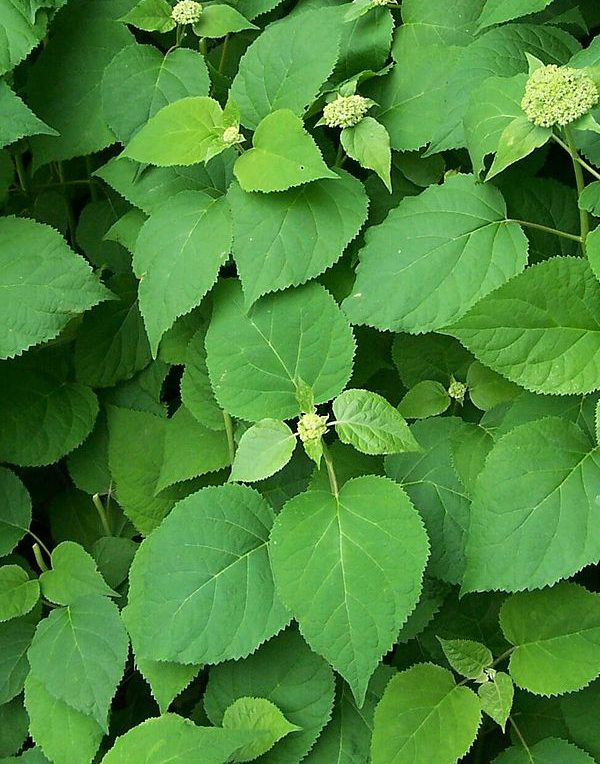 This herb has been used to treat prostate and urinary tract disorders, indigestion, colds and autoimmune treatment. 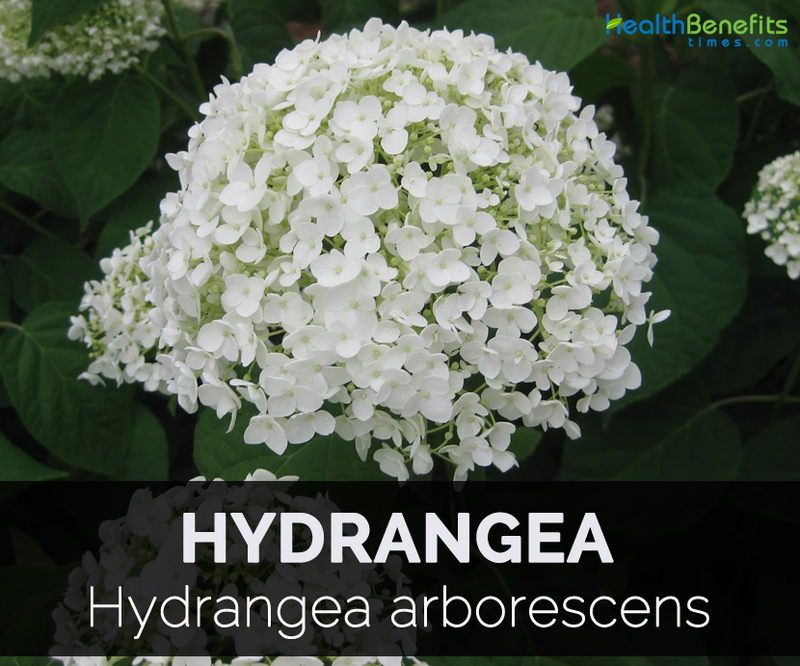 Hydrangea is a shrub that measures about 3-8 feet tall which produce erect and unbranched canes. Central cane is pubescent and light green. The tree has gray to brown bark which tears off to multicolored sheets that provides tattered appearance. Branches of panicle are pubescent and dull cream colored. The plant blooms from early to mid-summer. It bears oval to ovate or oval to cordate leaves having serrated margins. Leaves are about 3-5″ across and 4-6″ long. Flowers have five tiny cream colored or greenish white petals of 1/8″ long. It has a pistil, pair of styles and 8 to 10 stamens. Flower is followed by a capsule of 1/8″ across with a pair of tiny curved horns. Leaves are oval-cordate or oval-ovate shape and measures about 3-5″ across and 4-6″ long with serrated margins. The lower surface of leaves is pale green and is sparsely pubescent or hairless whereas the upper surface is hairless and medium to dark green. It has slender petioles of 2 to 6 inch long. Flower has short and light green calyx, five tiny white petals, insignificant teeth, 8 to 10 stamens, pair of styles and a pistil. Petals are about 1/8″ long in a cream colored or greenish white. It has inferior ovaries and is completely sexless or androgynous. Flower then turns into a two celled seed capsule which is about 1/8″ across with a pair of tiny curved horns on its upper surface. A capsule possesses flattened seeds which could be blown by wind and carried by currents of water. Hydrangea is used in case of urethritis, cystitis, prostatitis, urinary calculi, cystitis, gravel and enlarged prostate gland. It is useful for urinary problems, kidney stones and bladder problems. Chew bark for heart and stomach ailments. In Nepal, its leaves are used for treating cold, cough and bronchitis and root is used as a cure for indigestion and fevers. 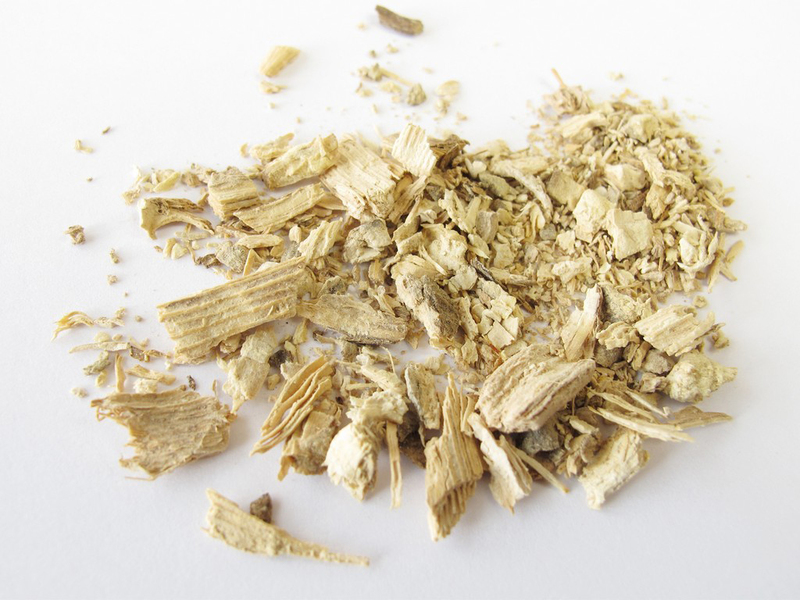 The decoction made from stem bark is useful for fevers. Use the decoction of leaves for treating malarial fever. This herb is used for vomiting as well. It helps to soothe irritated mucus membranes and provides relief from backache caused due to kidney problems. 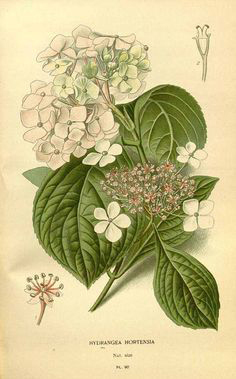 Hydrangea provides relief from backaches, rheumatism, scurvy, paralysis and dropsy. Use it externally as a poultice for burns, wounds, sprains, sore muscles and tumors. In Western herbal medicine to treat inflammation of bladder, prostate, urethra, enlarged prostate and kidney stones. It eliminates waste and also stimulates secretion of hormones. Avoid by pregnant and lactation women. 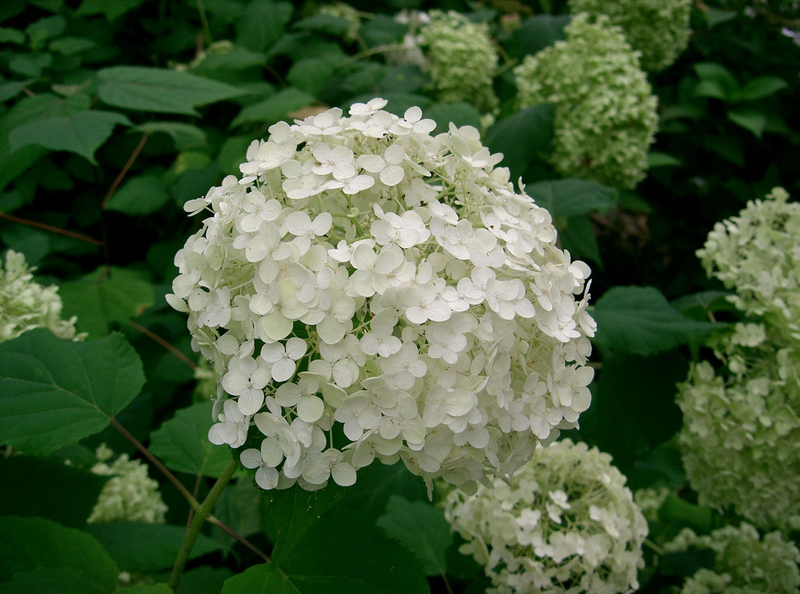 The use of Hydrangea causes contact dermatitis and gastroenteritis. Excessive use causes tightness in chest, dizziness and vertigo. Native Native to Eastern U.S. and Florida. Hydrangea heterophylla Hort.Cels ex Steud. Hydrangea laevigata Hort. Angl. ex Steud. 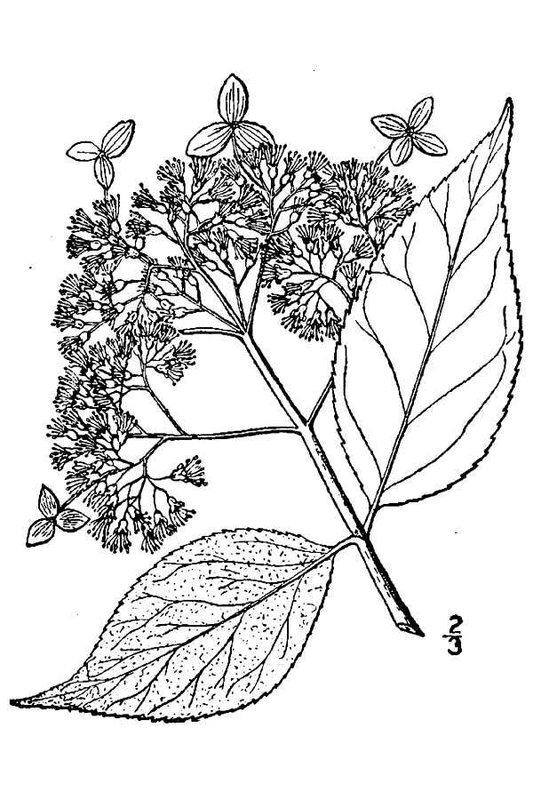 Hydrangea vulgaris var. carnea Raf. Hydrangea vulgaris var. cordata (Pursh) Torr.